How much do I love Ben & Jerry’s ice cream? Well, a lot. Sure, there are some really amazing frozen sweets purveyors out there now, but I adore Ben & Jerry’s for their nostalgia factor. I can still remember trying Cherry Garcia for the first time, The Macallan and I sharing a pint and two spoons on a lazy western Washington afternoon. Salted Butter Pecan-Bourbon Ice Cream. Yup, it’s pretty tasty. A few years ago, my boys got me an ice cream freezer bowl insert to go with my stand mixer—this gift being one in a long line of kitchen gadgets given in the hopes that they would benefit as taste testers from my use of it. 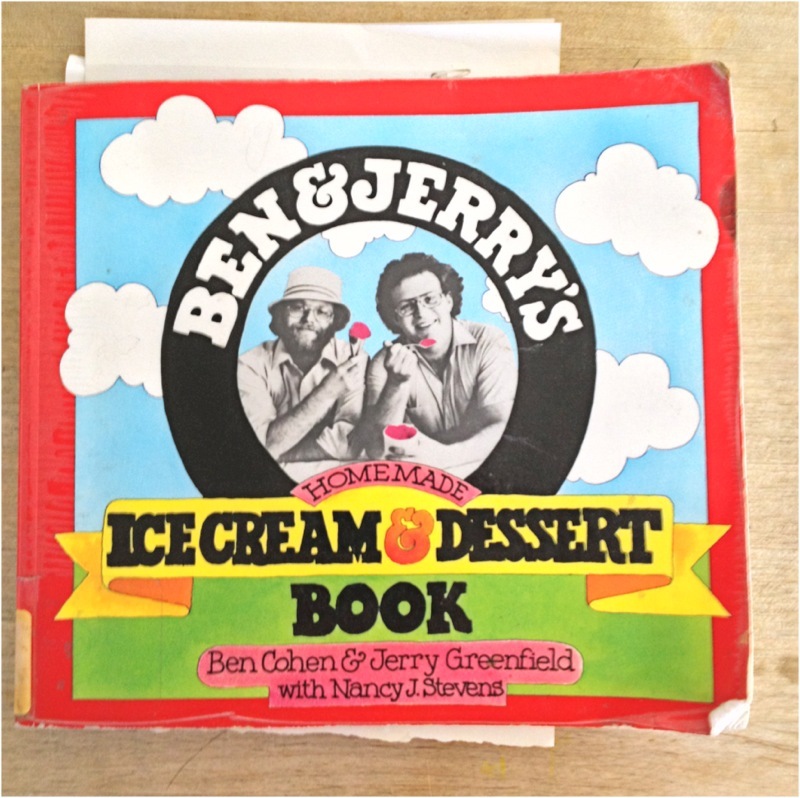 I make ice cream all year-round, and keep the clean freezer canister in my basement trunk freezer so it’s glacial cold and ready to go at a moment’s notice.I didn’t, however, LOVE making ice cream until I picked up a copy of Ben & Jerry’s Homemade Ice Cream & Dessert Book. Most of the ice cream recipes I’d used up until then involved lengthy custard-making and tempering on the stove instructions, followed by extended cooling times, making the ice cream experience a day-long affair. Ben & Jerry cut right to the chase: as long as you use really great ingredients and a SUPER cold (again, your case freezer is your friend) finishing freeze, you can make superb ice cream within an hour. And rarely use your stovetop. Using their recipe bases, I only have to clean two vessels: the stand mixing bowl, and the freezer bowl. Done and done, my friends. 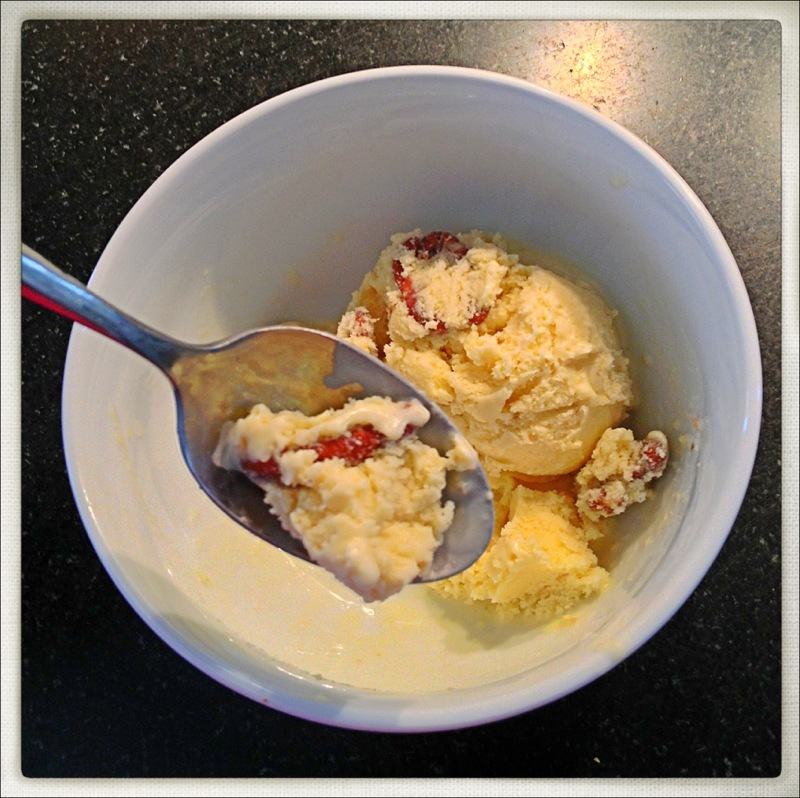 One of my favorite adaptations from their cookbook is Butter Pecan Ice Cream. It’s not for everyone: you can both taste and FEEL the little beads of butter bursting on your tongue. 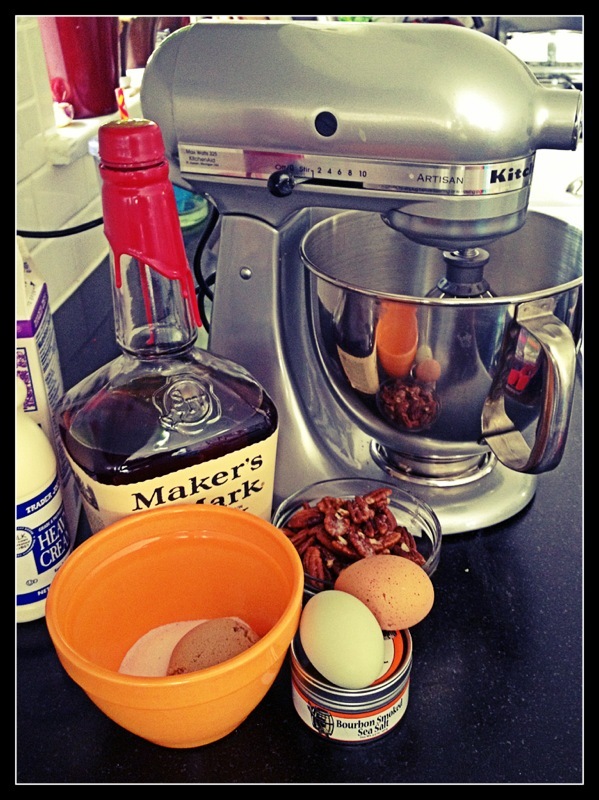 I use a combination of white and brown sugar for the ice cream base, and add a bit of bourbon (of course!). I’ve experimented with a few different kinds of salt, and enjoy the savory edge of smoked sea salts in this recipe- just use a pale colored salt, otherwise your ice cream will look muddy. Neither KitchenAid, nor Maker’s Mark, nor Bourbon Barrel Foods, nor my hens have paid me to promote their products. I just like their stuff. Salted Butter Pecan-Bourbon Ice Cream (Makes 1 generous quart). Melt the butter in a heavy skillet over low heat. Add the pecans and salt and sauté, stirring constantly, until the pecans start to turn brown and are crisp, but don’t overcook or they’ll be soggy in the final product (yuck!). Drain off the butter into a small bowl and reserve; put the drained pecans in another bowl and cool. Whisk the eggs in a mixing bowl until light and fluffy (about 2 minutes); whisk in the sugars a little at a time and continue blending until completely combined (about 1 minute more). 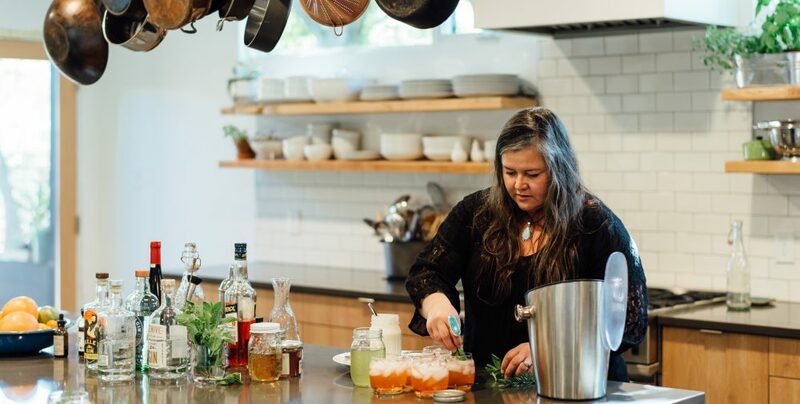 With the mixer on low speed, pour in the bourbon, cream, and half-and-half, increase speed to medium and pour in the butter in a narrow stream; whisk for another minute. Transfer the mixture to an ice cream maker and freeze following the manufacturer’s instructions. After the ice cream stiffens (about 2 minutes before it is done), add the pecans, then continue freezing until the ice cream is ready. Sprinkle a little pinch more sea salt on top of each serving. Why m’dear, don’t mind if I do! After a couple of these I start dropping the Southern thing and start sounding like Kate Middleton. At least to myself. 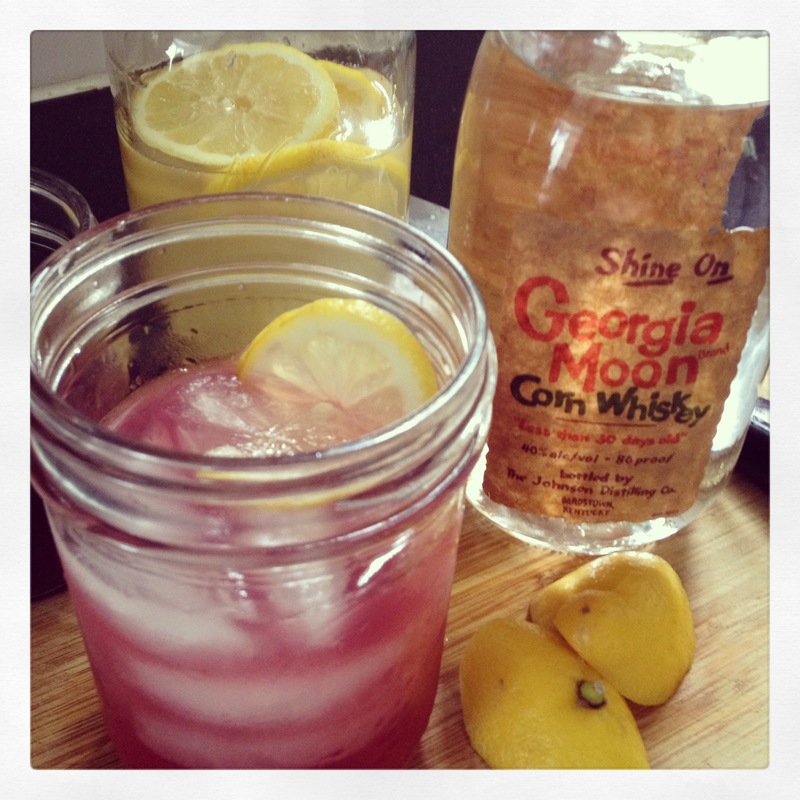 This is my gal Cosmopolitan’s (from our Supper Club) favorite summer cocktail. I’d put it in my Top 5, for sure. 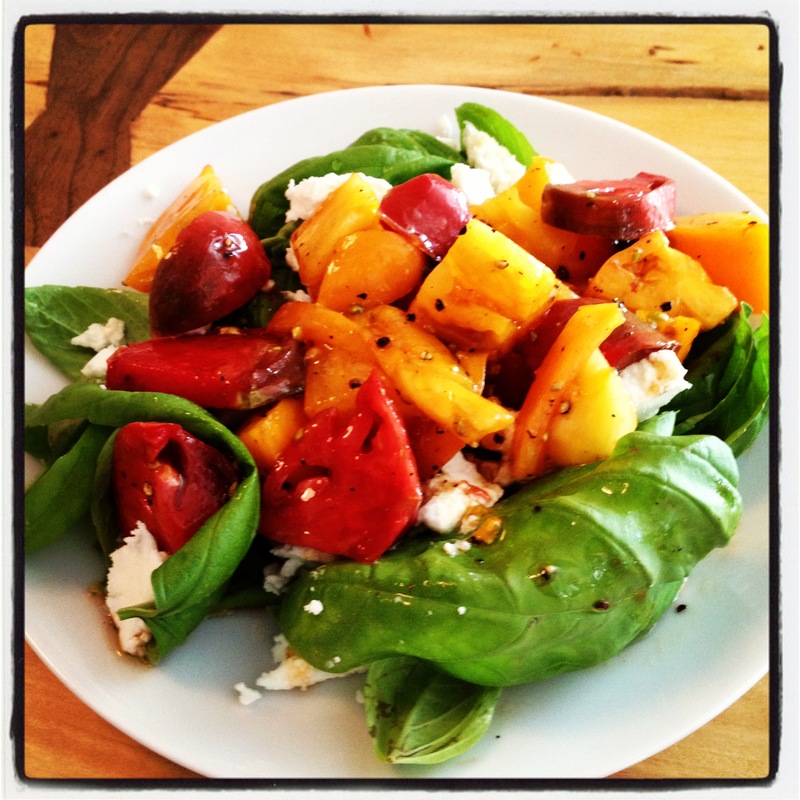 Heirloom tomatoes and basil pretty much scream “summer is here!” My girlfriend Saketini calls this easy salad packed with bold bright flavors a “rock star hostess” dish. It is sturdy enough to travel well, delicious at room temperature, and super easy to assemble. Plus, let’s face it: it looks freaking gorgeous. Last weekend I brought this salad to a casual pizza dinner at Lemon Drop & IPA’s house. We all ended up dragging our pizza crusts through the juicy cheesy goodness on our plates to sop up every last bit. Mix together tomatoes, oil, vinegar, salt & pepper in a non-reactive bowl; let sit at room temperature for at least 15 minutes or up to 1 hour to meld flavors. Rinse and pat dry the basil leaves, and spread in an even layer on a serving platter or salad bowl. Just before serving, crumble goat cheese over the basil and top with the tomatoes and all of the juicy goodness. If you are traveling with this salad, place the tomato mixture and goat geese in separate containers and add to basil just before serving. 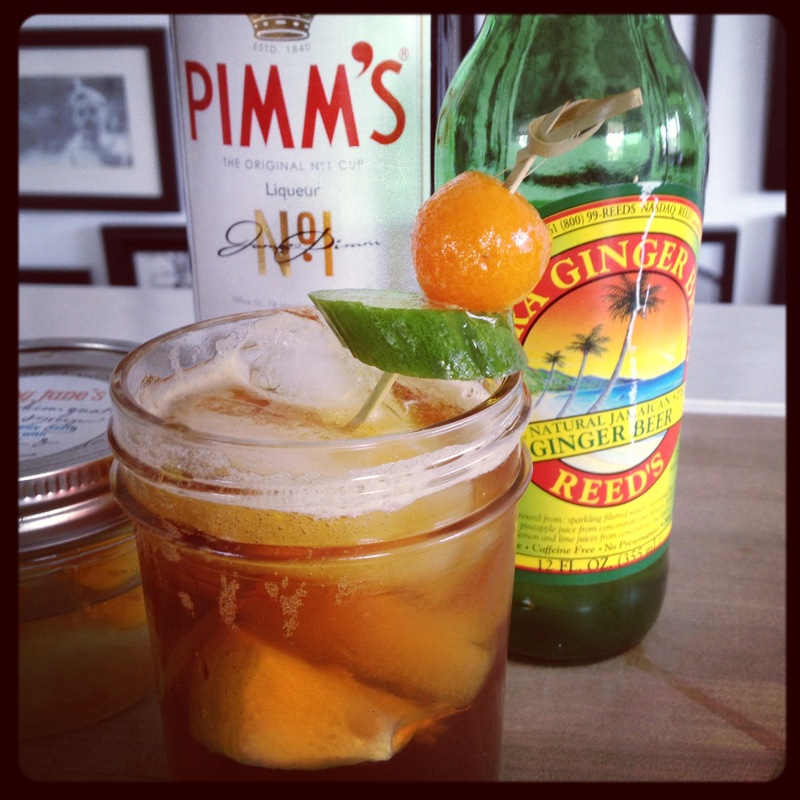 This cocktail is inspired by Belmont Park’s official cocktail, the “Belmont Jewel.” Since my in-laws are New Yorkers, this is a Kentucky gal’s take on their home racetrack’s delicious libation. Mix together and pour over a lot of ice in a pint Mason jar. Garnish with lemon. 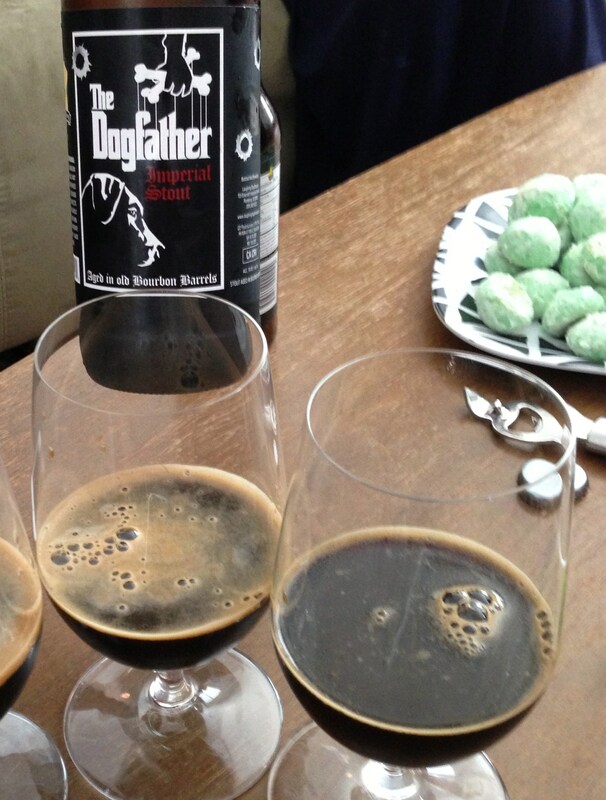 Best enjoyed sitting by the chicken coop in your favorite lounge chair with a couple of bird dogs at your feet. Have you noticed lately how many unaged corn whiskeys are now commercially available? I’m seriously going to do a taste comparison some day for the blog, after I do some more research on this fascinating and quickly growing field. Maybe when I have a few straight days when complete brain function and the ability to operate machinery are not required. Until then, I hope you try one for yourself. Unlike the sketchy backwoods ones I tried long ago, the ‘legal’ ones are really not much harsher than an inexpensive vodka, though I think the heavy corn profile makes moonshine taste both rounder, slightly fruit-forward (less mineral) compared to vodka, and in the versions I’ve tried the corn mash flavor pleasantly lingers on the tongue. 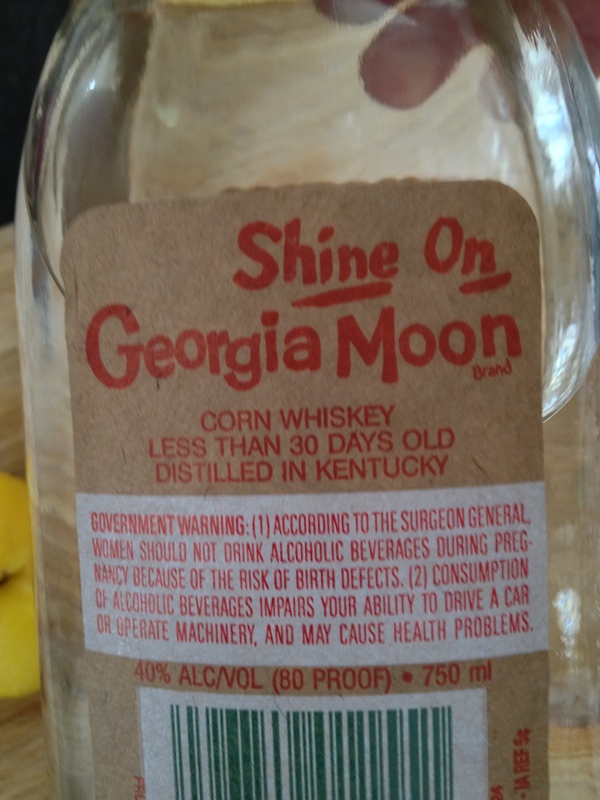 It’s more than a bit much for me, sipped straight from the jar (although those guys on Moonshiners make it look easy. Gasp), but mixed with some fruity lemonade it’s juuuuuust right. Well, not the one photographed here. That primordial one would still be with my mom (Grey Goose & Diet Tonic, Lime). Egg white-warped and vanilla stained from decades of use, it’s still shelved in her tidy Louisville kitchen. But GG&DTL did go on eBay a few years ago and find vintage editions for my brother, sister, and I as Christmas gifts a few years ago. Yup, my mom’s pretty awesome like that. 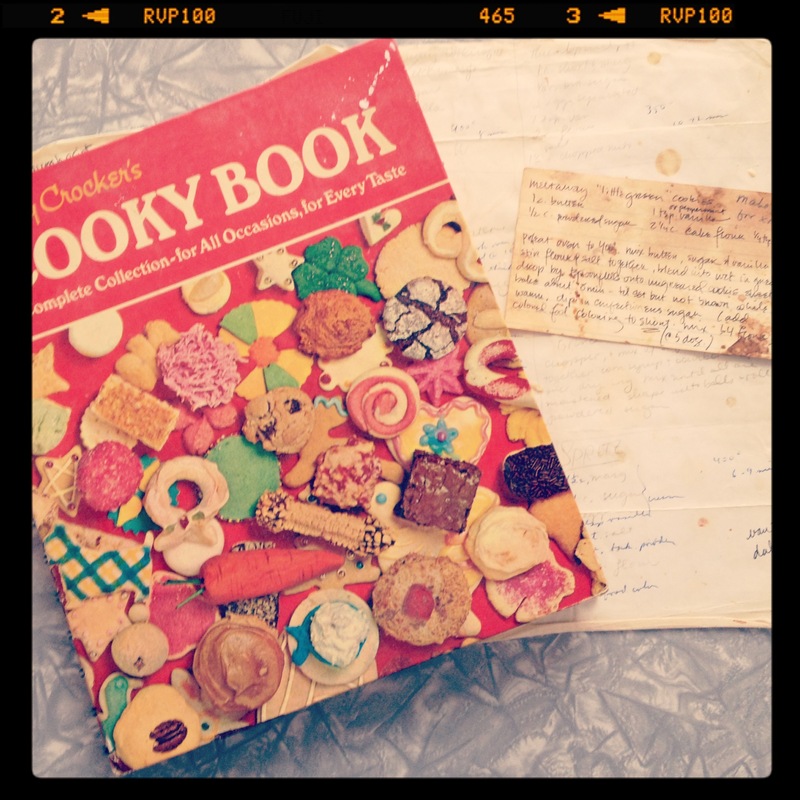 In fact, the first recipe I remember truly and epically failing was from this cookbook: lemon bars. When you are 8 years old semi-confidently baking on your own and use 1 Tablespoon of salt rather than 1 teaspoon, you will never forget the resulting humbling yuck. And the sibling smack talk. The only things I’ve modified from the original 1963 publication are that I always use unsalted sweet cream butter (rather than the margarine/shortening, or as my grandma Beefeater &Tonic calls it, “oleo”), and I often use a pinch less sugar and a pinch more salt than the recipes call for to adapt for the butter shift. If your mom hasn’t already sent you a copy, go and find one for yourself. You will be the hit of the next mid-century modern cocktail party in the desert category. Unless some talented wombat one-ups you with a Baked Alaska. This has happened to me. Sigh. For the beery brunch the bev-blogger Hoss on Hops and I recently collaborated on, these Buttery Mint cookies were perfect for serving with a chocolaty stout. Butter-Mint “Meltaway” cookies are great with a chocolate stout. Thanks for the photo, Hoss! In a large mixing bowl, combine butter and sugar, mix until combined and fluffy. With the beaters going, add peppermint extract and food coloring a drop or two at a time (it will splatter!). Sift together flour and salt, and then add to the butter mixture ½ cup or so at a time. Mold the cookie dough into walnut-sized balls (a great kid project). Place on ungreased cookie sheets. Bake about 8 minutes- until set but not brown. While still warm, dip and roll in more confectioners’ sugar to coat. *These freeze really well to keep on hand for cookie entertaining emergencies. Like hosting an impromptu beer party on a Sunday morning, for instance.